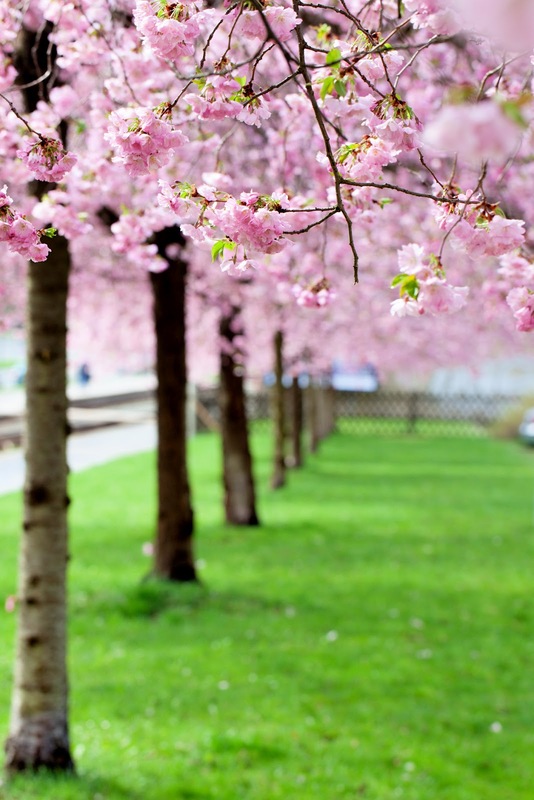 Cherry blossoms tree is well known for it's short yet brilliant blooming season which ends with an inevitable fall to the ground. 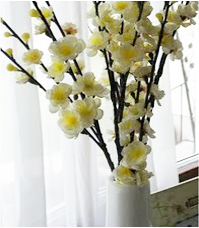 It's the most popular landscape trees too because of their beautiful spring flowers, and many varieties produce tasty fruits. 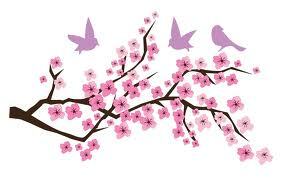 I love, love cherry blossoms! They are beautiful trees! 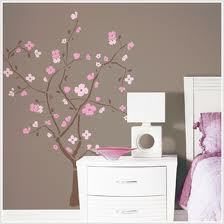 My daughter's room, Jessica had a cherry blossoms branches hanging over her bed. 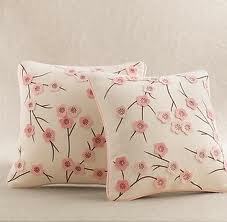 and a cherry blossoms pillows. 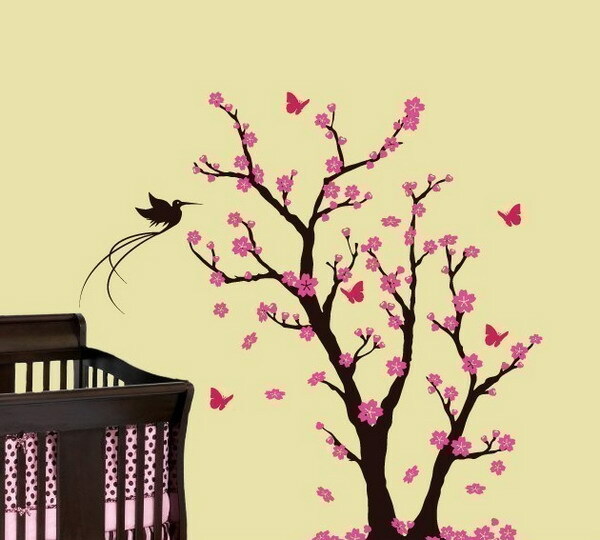 And now, since our twins are in toddler beds and staying with us permanently. I am redecorating their rooms and add wall art on it. They do have a garden sticker theme in their wall before, but they love to peel them off and stick it somewhere. 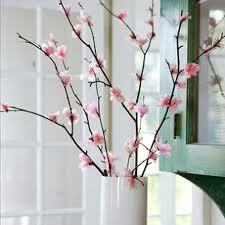 This time I will paint cherry blossoms tree in the wall. I already had a pattern to do it, got paint and brush and ready to go! 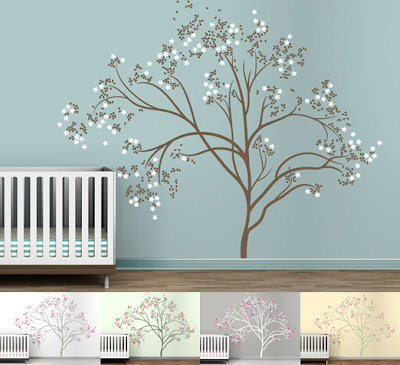 The cherry blossom tree will be in the middle of toddler beds. Maybe added birds on it. How about you? what's your favourite kids theme wall art ? The nice thing about painting a picture right onto the wall is that they cannot remove it. So it's a good idea!